I’m excited to be participating in the Jo­‐Ann Fabric and Craft Stores “Cape Discovery” summer crafting challenge. They have a wonderful Cape Discovery Spring Catalog full of fun, kid-friendly craft projects. 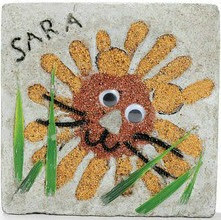 As I looked through all the different projects I fell in love with the Lion Handprint Garden Stone. 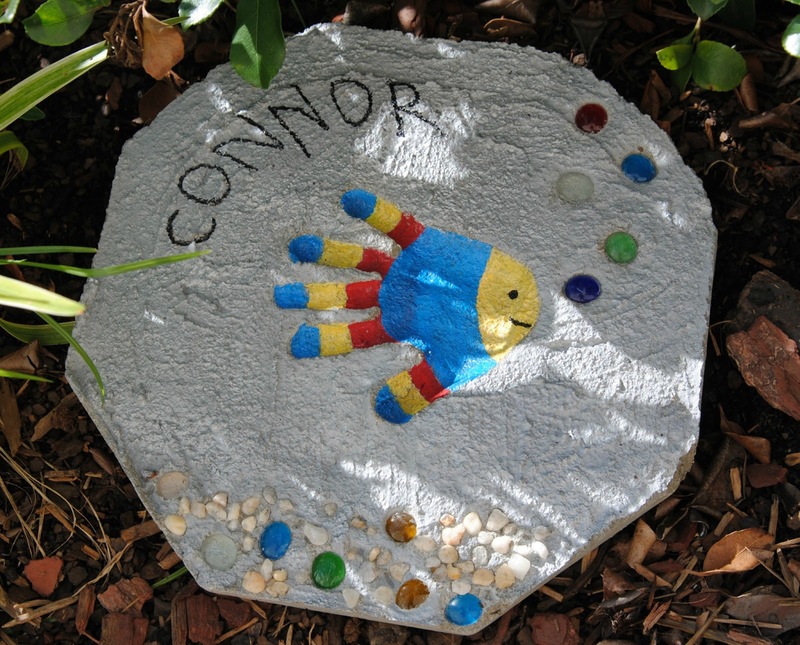 I love any art project that includes Connor’s handprint!! We stopped at Jo-ann’s last week and picked up the Mosaic Stepping Stone Kit. 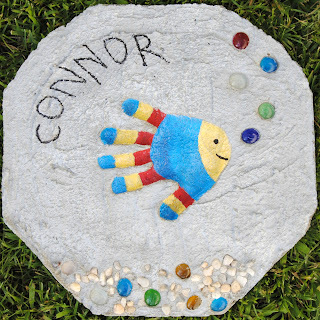 As we started the project Connor decided he wanted a fish instead of a Lion so we went with it. We had so much fun making Connor’s personalized stepping stone and I love how it looks in our garden. I also love that he can write his name all by himself which makes this project extra special to me. Make sure to check out the catalog for all the great projects you can make with your children this summer. Also, sign up to be a Jo-Ann preferred customer and receive a 20% off coupon. Thus is a great project! These are so adorable!! What a perfect use for all the stones we have!! 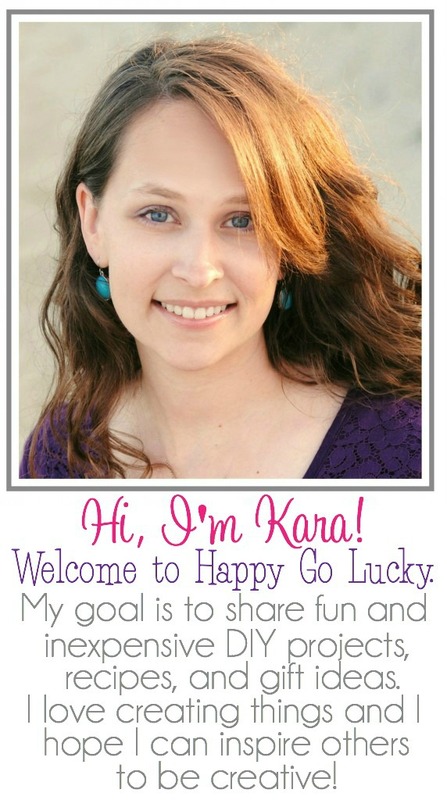 I have pinned, thanks for sharing!! Have a great week!! what type of paint did you use? i love making these for the grandparents but i am not sure what type of paint will last outside. thanks!!!!! I used acrylic paint. You could probably seal it with a sealer to keep it from fading. I have ours in a shady section of my garden so it still looks good.